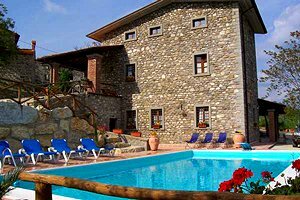 Among hermitages, castles, monasteries, beautiful medieval villages and rich vegetation stands the house in Valtiberina perfect for your next holiday. 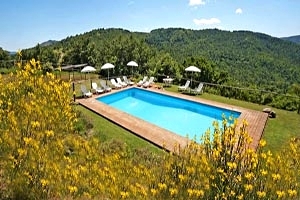 On this page our list of villas for rent in Valtiberina in southern Tuscany accompanied by detailed descriptions of the indoor and outdoor spaces, prices for each period and by beautiful pictures. 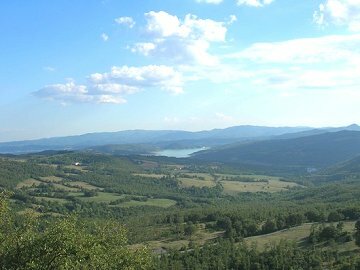 The Valtiberina is located in the southern part of Tuscany, at the border with Lazio and Umbria. This is therefore the ideal land if you think to reach Tuscany from Rome, from Southern Italy or Umbria. 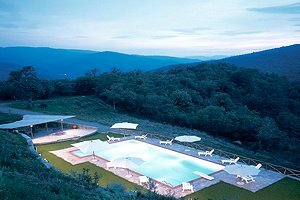 The proximity to Rome makes this area of the province of Arezzo in Tuscany one of the most popular. Also here you will find fabulous places, ancient medieval villages and unspoiled nature. The vegetation is lush and among the various shades of green emerge in their beauty the medieval villages built of stone with their castles, their fortresses and their magnificent churches. Discover Anghiari with its picturesque old town, Sansepolcro, birthplace of Piero della Francesca and Monterchi where the view is breathtaking during your holidays in Valtiberina. In these places, moreover, was born one of the most famous Italian artists in the world: Michelangelo Buonarroti. Discover Caprese Michelangelo, the town of Valtiberina that gave birth to this Italian genius with his works that changed the art in the world and inspired artists throughout the centuries following his troubled life. On March 6, 1475 Michelangelo Buonarroti was born in this small village that in the following years, thanks to the fame of the artist, decided to change the name in Caprese Michelangelo in his honor. Discover the lands where the artist was born and raised ... will be an unforgettable experience! 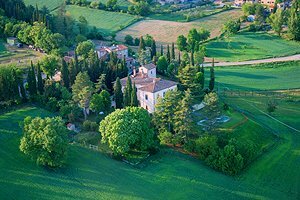 Look at our selection of villas in the Valtiberina and choose the ideal one for your next holiday in Tuscany. Write to us now for further details, to ensure that the villa you want is still free and to book it. We will be able to answer all your questions and help you. 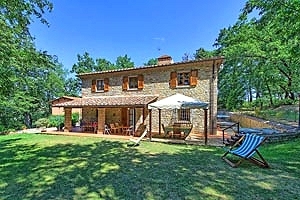 Elegant villa with wide garden and wonderful views situated in the countryside around Arezzo. Sleeps 10, swimming pool, Internet connection, air conditioning, wood-burning oven, barbecue. Tennis club and riding stable within a few kilometres. 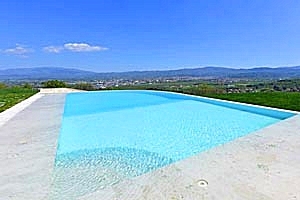 Historical exclusive luxury villa with private swimming pool in Monterchi countryside, in Valtiberina, near Arezzo. 8/12 sleeping accommodations, barbecue, bike rental, satellite TV, Internet connection. Ancient medieval tower transformed into a luxury villa in Monterchi, in Valtiberina, in Arezzo countryside. 6/8/10 sleeping accommodations, swimming pool. 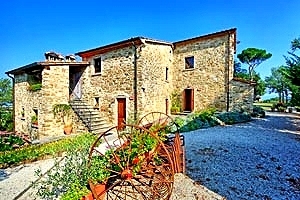 Former farmhouse dating from the late 19th century in Arezzo countryside. 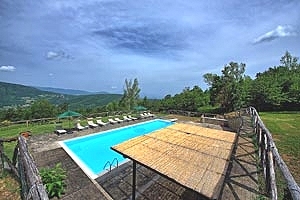 Sleeps 12, panoramic swimming pool, Internet connection, air conditioning, wood burning oven. Tennis club and riding stable nearby. Villa in Arsicci, in Valtiberina, close to Sansepolcro (Arezzo). 16+1 sleeping accommodations, private swimming pool, Internet connection, satellite TV, barbecue. 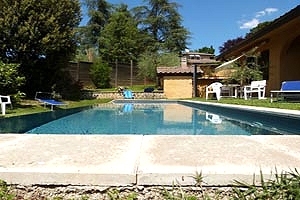 Holiday villa for rent in Monterchi, in Valtiberina (Arezzo). 14+1 sleeping accommodations, panoramic swimming pool, yoga classes for free, wifi internet connection. Villa near Sansepolcro, in Valtiberina (Arezzo). Sleeps 7, swimming pool, Internet connection, yoga lessons. 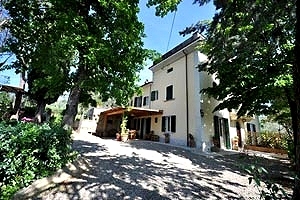 Large country house a few kilometres from Anghiari (Arezzo), in Valtiberina. Sleeps 20, swimming pool, Internet connection, table-tennis table, table-football table. 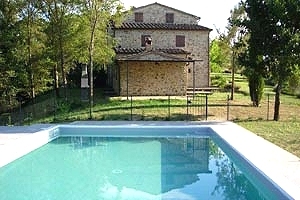 Villa with swimming pool in Caprese Michelangelo, in Casentino, between Arezzo and Florence. Sleeps 14, Internet connection. Panoramic view; tennis club and riding stable in the vicinity. Villa in Valtiberina, near Arezzo. Sleeps 12/14, wide garden, swimming pool, Internet connection, cooking lessons. 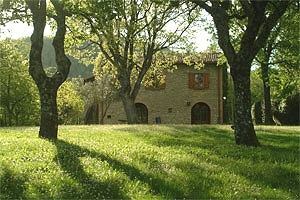 The villa is just a few kilometres from Anghiari and Arezzo. Wonderful panorama. 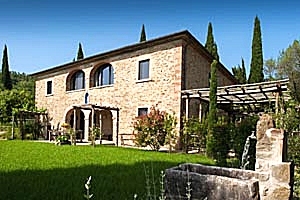 Recently-built villa near the historic town of Arezzo. 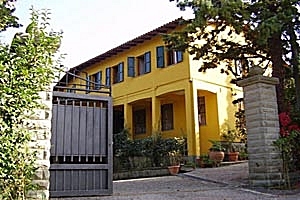 The villa stands at the beginning of the ancient route connecting Arezzo to Valtiberina. 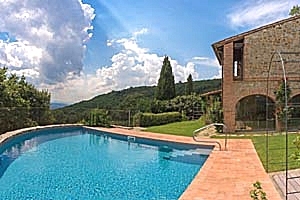 Sleeps 12+2, wide garden with children`s playground, swimming pool with panoramic view over Arezzo and the surrounding countryside, private tennis court, Internet connection, table-tennis table, table-football table, billiard, wood-burning oven, barbecue. 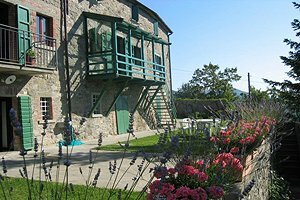 Possibility of organising dinners and visits to nearby wineries and oil mills. Ancient elegantly renovated farmhouse dating from the 17th century transformed into a beautiful villa with swimming pool situated in the Tuscan countryside, a few kilometres from Arezzo. Sleeps 10+2, Internet connection, air conditioning, barbecue. Riding stable and tennis club nearby. Ancient historic manor house in Sansepolcro (Arezzo), in Valtiberina. Sleeps 9, wide park, swimming pool, Internet connection. The villa has a private chapel for weddings. Tennis club, riding stable, golf club and spas within a few kilometres.